Music has a form which is the key to listening, playing, and appreciating music. Examples are the perfection of the twelve bar blues progression, and the systematics of harmonics. When listening and playing music, we are using psychological concepts that are the basics for looking at visual forms. This lecture will be about the role of form in performing and listening to music. By playing guitar music it will be explained how we perceive music and what the similarity is to looking at images. 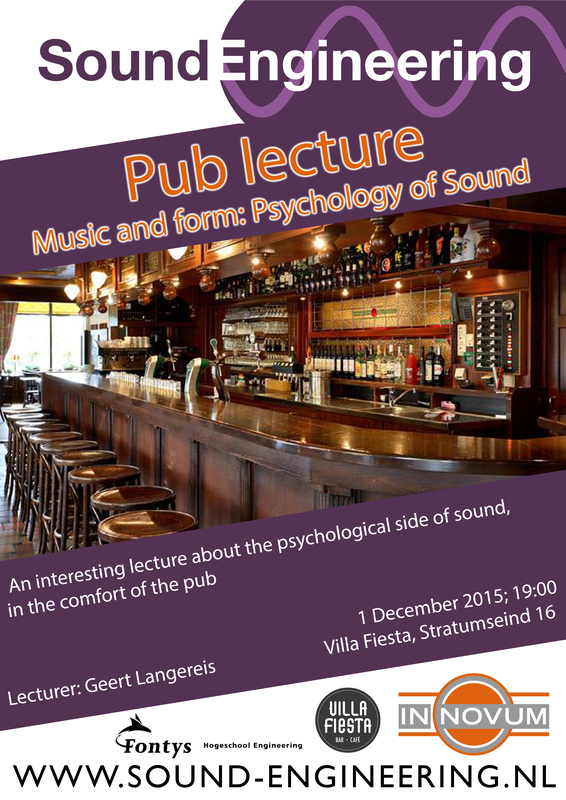 Join us for a beer and this nice lecture from Fontys teacher Geert Langereis on 1st December at Villa Fiesta (Stratumseind 16) at 19.00!